Introducing a brand New Series coming soon to our Lobby Lounge at the Sharon: The Cabaret Series! The Sharon team will welcome a new cabaret artist to our Lobby Lounge stage every couple of months to perform a special one night only cabaret style engagement. We are proud to present our first event of this intimate series on November 8th! Join us for an intimate evening of music! Starring the talented Whitney Morse and featuring a few numbers by her mother Rebecca Morse. They will fill up the Lobby Lounge with storytelling and sing us some songs about parenting and pregnancy. The evening will be full of entertainment! Some songs will make you laugh, some will make you think, others will make you remember…but they will all be sure to make you smile! Life is a Cabaret! Gary Powell has been musically directing and staging shows for over 30 years in Texas, Chicago, New York City, and now Central Florida. 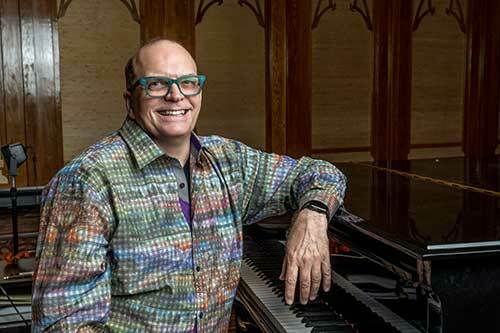 Gary currently serves as the Resident Music Director for both The Sharon L. Morse Performing Arts Center and The Studio Theatre Tierra Del Sol. Gary is proud to have been the Music Director since the inaugural season of The Studio Theatre and has worked with such talented actors and musicians for Next to Normal, The Last Five Years, and Songs For a New World. Select standouts of Gary's career include Into The Woods, Sound of Music, Godspell, Brigadoon, South Pacific, and Next to Normal. He has worked on several world premiere productions including: Tomorrow Morning and Scotch Verdict. While directing in Chicago, Gary was nominated for several Jeff Awards for the following productions: American Premier of Jerry Springer-The Opera, Thrill Me, Addam's Family, Opus 1861, The Baker's Wife, Kiss of The Spider Woman, Evolution/Creation, and Cats among several others. Gary has recently been nominated for Best Music Direction by Broadway World for Next to Normal, The Last Five Years, and Songs for a New World. 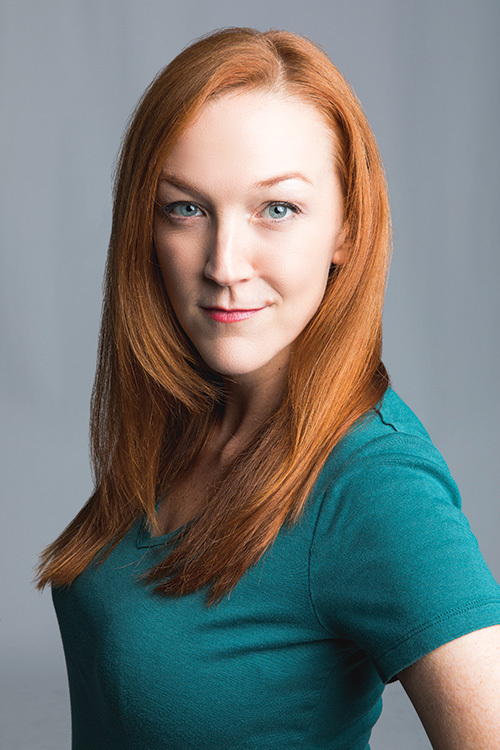 Whitney Morse won Broadway World's award for Best Supporting Actress for Proof in the Inaugural Season at The Studio Theatre Tierra del Sol. Morse kicked off the first season in Next To Normal, The Last Five Years, Proof, and Songs for a New World. In The Studio Theatre's second season, Morse starred in Frankie and Johnny in the Clair de Lune as Frankie, and in Company as Amy. Over this past summer at The Studio Theatre, Morse accomplished a once-in-a-lifetime acting experience in White Rabbit Red Rabbit. She also performed a one-woman run of fourteen sold-out performances for Tell Me On a Sunday. Her Central Florida Theatre credits include The Secret Garden, 1776 and Big River (Mad Cow Theatre). Chicago: Next To Normal (Skokie Theatre), Other Desert Cities (Citadel Theatre), The Children's Hour (Pride Films and Plays), Spike Heels (Brown Paper Box), Down Range (Genesis Theatricals), Trafford Tanzi and I Carry Your Heart (Prologue Theatre Company), Accomplice (Jedlicka Performing Arts Center), The Turn of the Screw, Jeeves at Sea, Unnecessary Farce and The Merchant of Venice (First Folio Theater). Whitney is the Artistic Director of The Sharon and The Studio Theatre. MFA Acting - Columbia University School of the Arts. www.whitneymorse.com.